The most surprising thing about French Press is that it was patented by an Italian in Milan over 80 years ago and not really a French invention. 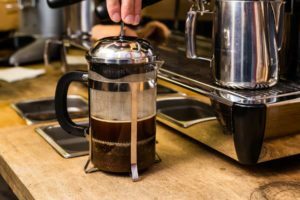 In this article, we will guide you on how to use a French Press and make rich tasting coffee with it, that will complement your breakfast as well as your evening tea. So, How Does A French Press Actually Work? A French Press ideally steeps the coffee grounds and heated water inside a beaker. Once the process of steeping is done, the mesh filter is slowly pressed downwards to separate the coffee grounds from the liquid part of the coffee that is then poured in your coffee cup. This mesh filter allows the essential oils and acids in the coffee grounds to flow to the coffee cup, making your coffee thick and robust in taste. This steeping and filtration process is known as immersion brewing because unlike in drip coffee makers where the water is flown through the coffee grounds, in case of a French Press the water is immersed in the coffee grounds. 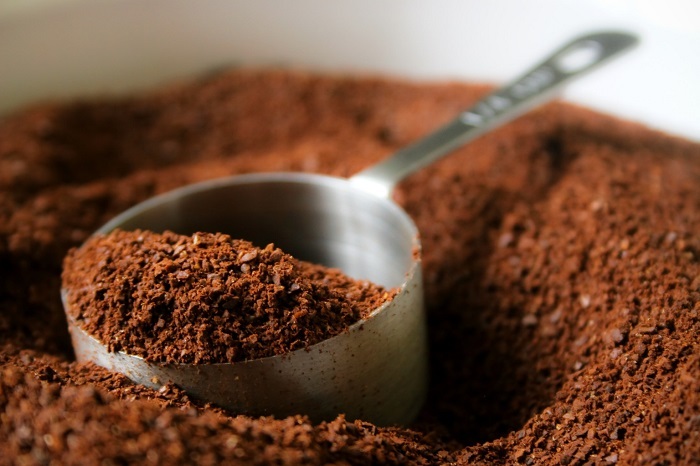 In this process, both the coffee grounds and water is uniformly mixed and then extracted without losing out on the essential oils of the grounds. 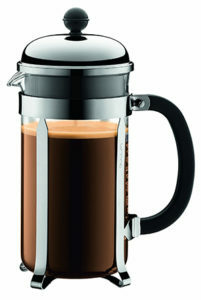 French Press is also known as plunge pot since it is a classic way of making coffee, and it does sound appealing to us. 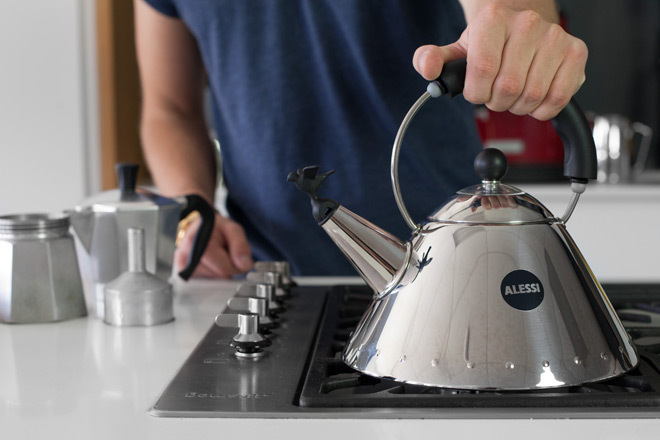 So let’s learn now how to use a French Press to brew coffee in style! What Does A French Press Consists Of? The metal mesh filter of the French Press allows the essential oils and acids of the coffee grounds to pass through to your coffee cup. This is what makes coffee from a French Press exceptional and robust in taste as it does not filter out the natural oils from it. You do not need a paper filter for it. The filter is connected through a metal rod which connects it to the top of the machine called the plunger. The plunger is used to press it downwards that separates the liquid part of the coffee from the coffee ground residue. The lid is above the beaker and when you push it with pressure, it prevents the coffee particles from sliding away. Most beakers in a French Press is made of glass but some not-so-expensive models also use plastic, while others use metal or even ceramic. The main use of the beaker is to hold the water and the coffee grounds during the process of steeping to make the process of pouring easier in your cup. The materials used in the body and handle of the French Press depends on the model used. Here are the Top 10 French Press Coffee Makers Models of 2018 that will help you in the process of purchasing one for yourself. Begin by heating the water since that has to be done separately. Make sure the temperature you maintain to heat water is between 195 to 205 degree fahrenheit which is the optimal level to brew coffee. 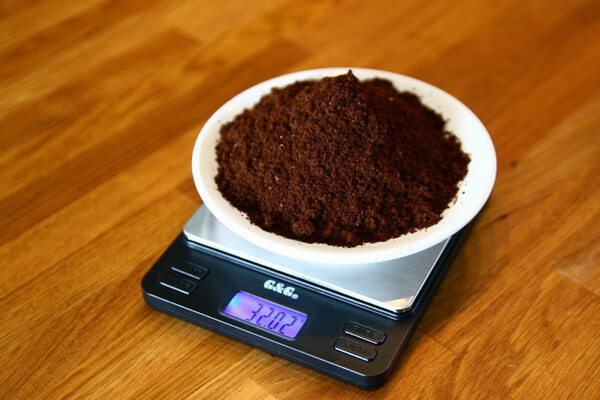 Measure the amount of whole coffee beans required, you could also use a scale to do so if it is a problem for you. However, make sure that when you grind coffee beans to brew coffee in a French Press, it should be slightly coarse and not finely grounded, otherwise the grounds will slide away when you start the process of steeping, making your coffee exceedingly bitter in taste. Pour the coffee grounds that you have freshly grounded at the bottom of the beaker and then shake it gently to even out the coffee grounds. Now pour the hot water in the beaker and ensure that all the coffee grounds have become wet. Slowly stir the mixture of coffee grounds and water for some seconds until you see that the grounds have evenly become wet. Now put the top of the beaker along with the plunger pulled up so as to keep the temperature up until you let the coffee brew for sometime. You can set the timer to around 3:50 and let the coffee steep for sometime. Once the timer is off, lift the beaker. 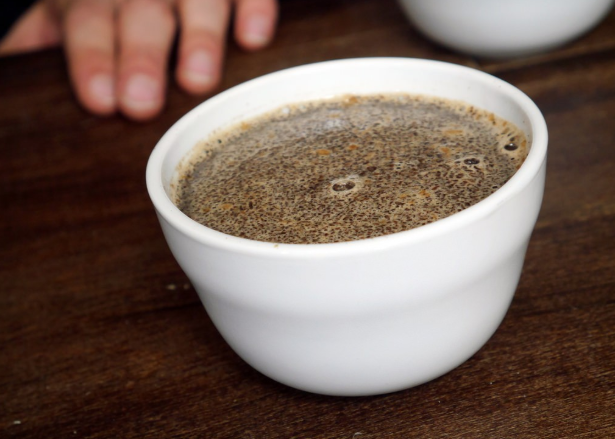 You will notice a crust-like layer of coffee grounds have formed over the surface when the coffee was steeping. You can briefly stir this crust-like layer if you want. Doing this will help coffee to settle down evenly. If you do not want too strong a taste for the coffee, you can discard off the layer with a spoon. Keep stirring until you see that you have evened out all the floating coffee particles. Slowly press the plunger downwards and gently pour the brewed coffee from your French Press to your coffee cup or mug. Ensure that you do not pour the last few drops of your brewed coffee in the cup, they have the highest level of concentration and can change the taste of your coffee in the cup. Enjoy your lip smacking coffee made from a French Press coffee maker! A lot of avid coffee drinkers say that once they start brewing coffee in a French Press they cannot drink coffee from anywhere else. That’s the thing about French Press! The taste you get of the coffee made from it is exceptional as it holds the essential natural oils and acids from the coffee grounds in your coffee, which is rare with other coffee machine especially those which use paper filters. If you have any thoughts or queries on how to use a French Press, please write to us in the comment section below. What is macchiato and what is the the difference between latte and macchiato? Nespresso Vertuoline Review 2019 – Do NOT Buy Before Reading! Keurig K50 vs Keurig K55 – Which is the best choice? Jamaican Blue Mountain Coffee – Why it is so expensive?